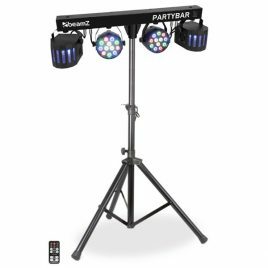 This 4-Some LED light effect set contains 4 LED Moonflower units and is easy to install due to the included T-bar. 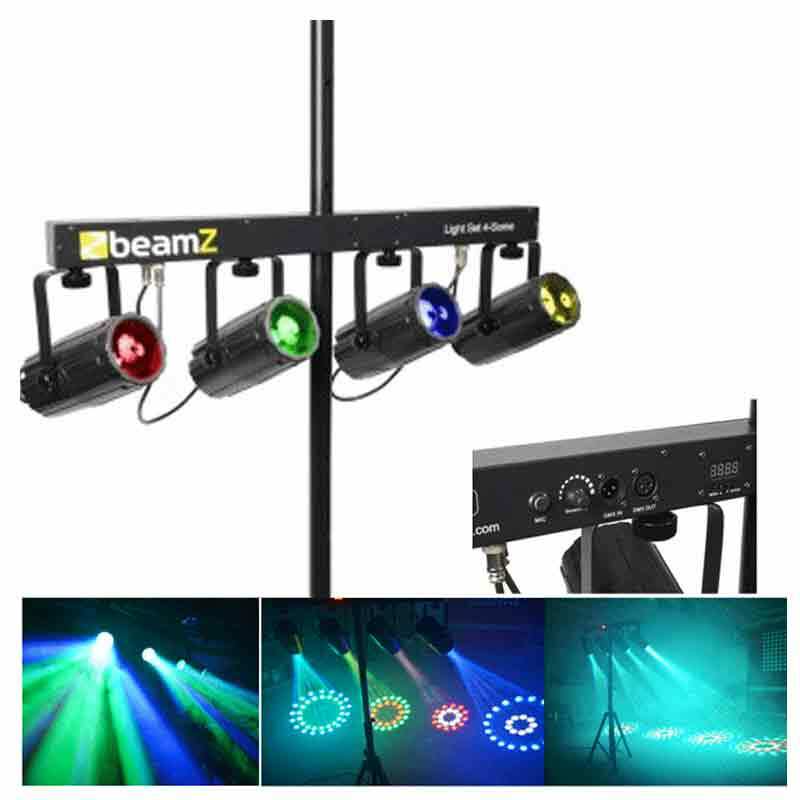 The 4 units can be positioned separately and are controlled by 7 DMX channels to create beautiful light shows. 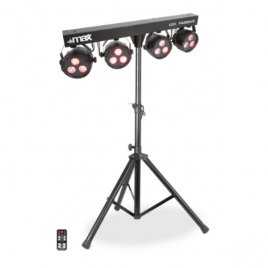 Every unit has 57 RGBW LEDs for high light output and is able to project beautiful figures. For easy use the units can also work with built-in automatic programs or they can be sound controlled. Even a master/slave setting is possible making all units do exactly the same. The T-bar fits onto every 35mm stand which makes this 4-Some light effect set your perfect choice for on the road applications. Lighting set koji se sastoji od 2 para i 2 derby efekta. Dolazi sa kontrolerom, stalkom i daljincem. Moguć priključak na DMX kontrolu. LED Flat PAR 18X1W RGB sa daljincem.